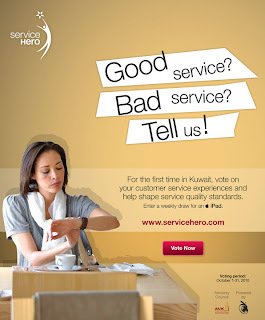 Want to complain or praise services in Kuwait? Service Hero is here! Doing some internet surfing I found this rating website. Looks pretty cool and I got to complain and also praise some of the companies I've visited. "Welcome back to Service Hero, the only index in the Arab world that measures service quality across different sectors or industry categories. Voting for your 2011 Service Hero will begin in the fall. Over 400 total brands were voted by you in 2010, and we hope you help us increase that number for 2011. Through Service Hero, consumers like you are able to rate service quality for places you frequent, like your bank, café or car garage. Your votes allow companies to learn about their strengths and weaknesses and how they compare with competitors. Your votes also provide industry averages and an overall country average which can be compared on a global scale. The Service Hero survey is conducted in a unique way; all voting and open-ended commentary are done online in order to make voting easier, quicker and to ensure higher quality data. Voting will take place between October 1 - November 30, 2011. To ensure accurate and fair findings, Service Hero has an Independent Advisory Council in place." 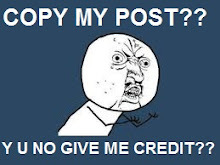 If you send me an email with details of the problem I will ask my husband about the situation. He told me before about a guy who married a waitress from Applebee's and the manager wanted 1000 KD to release her.